See post 54 for 10-23-11 update. TBI 18g tdo5h, 3" exhausts, cat and quite muffler. Intercooler upgrade, ported head, stock size ss valves, degreed hr70 cam. 7-1 pistons. 2g mas, 850 / 1400 injectors. Race gas blend. Tuned with Neo afc and Innovate logworks data logging. First run about 21 psi average. Boost was choppy. This is a spikey turbo. We leaned out the turbo spool up and tweaked the fuel a little up top. Last run 25 psi average. The boost trace smoothed out some as we raised the boost. We let it cool for the last pull and made sure the intercooler was fully cooled. But could not get 300. Made 300 uncorrected, does that count? 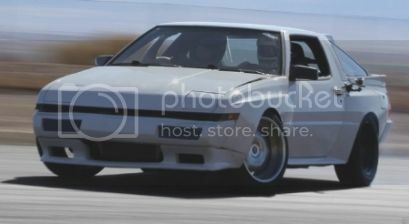 The extra boost and tuning mostly helped the torque. I am really pleased with the torque. Edit, I also gained hp in the 3500-4800 rpm range. It was just the peak hp that stayed about the same. Shop wide band was reading .6-.7 leaner. I need to do a recalibration. I meant to do it beforehand. My car still has some of the 1.75 intercooler piping on it, that will be the next upgrade. Edit, this turbo really should have an external waste gate. That would probably add a little power as well as better boost control. My short block was pulled from a parts car with a sized motor. It turned out to be a fresh stock rebuild that spun a bearing and locked up when an oil line failed. I replaced the crank, bearings and head. The head was replaced again last year. I have been flogging it for 4 years. I do not understand why people do full rebuilds on motors with fixable problems and spend tons of money on everything but what actually makes the power. Edited by StarquestRescue, 28 April 2013 - 06:55 PM. Thats tight! I agree with the crazy rebuild comment, ran my truck at 28 psi multiple times on a hx35 with stock rebuilt bottom end! I do not understand why people do full rebuilds on motors with fixable problems and spend tons of money on everything but what actually makes the power. way to go john!! and yes there is something to be said about teaching new dogs old tricks!! 100+ more torque than horsepower, those are V8 numbers. Excellent job John, those are fantastic numbers. I second that exact comment. 10k plus miles , still held 150 psi across the board when sold and is still running today. 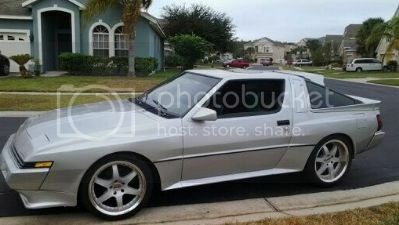 88' Starion -- air conditioning! 14b @12psi, 1gen Bov, 2.5"dp, no cats...... daily driven. -- SOLD/ GONE !!! Awesome, bringing to the track anytime soon? The tricks are not new. Just proven tuning concepts from the dsm world, that are seldom explied to tbi cars. The 18g is proven low 300 hp capable on the starquest. It is kinda a wild animal as far as boost spikes and tuning. I need to look into an external wastegate. 100+ more torque than horsepower, those are V8 numbers.Excellent job John, those are fantastic numbers. Yes, i have already run a 13.1 @ 105. I think i can squeeze a high 12 out of it. I want to work on the street tune and boost control more. Very Impressive!! Probably more torque than my "m pee why" Holset monster puts down! Congrats on the numbers Where did you get it tuned? I am kind of skeptical on tuners but i would drive a distance for a reliable one. Oh, and I could pick up that Conquest stuff! Edited by modifyd, 06 October 2010 - 10:25 AM. I'm pretty sure he does a majority of the tuning himself on the street and at the track. Then uses the dyno for feedback to do the finer tuning. I tune it my self. I have two Innovate ssi-4 data logger boxes on the car. Tuning is done with a neo afc. The 2g mas makes the car run 20-20% leaner, this is a help as my injectors are 43% bigger than stock. I am adding up to about 20% fuel at low load and subtracting about -10 at high load. Bod Brady, the dyno guy was coaching me based on what the dyno graft was showing. I only paid for a hour. 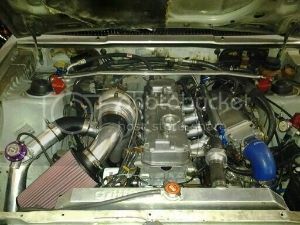 The 3" exhaust install was finished that morning and the ebc was hooked up a couple of days before. Mostly a v8 guy, but i know some of the front wheel drive guys get tuned there. 2wd dyno. He keeps asking what kind of car it is. damn...thats what I am talking about! Is your Throttle body ported? Is that like a skin graft? Current picture. I ran a different bov on the dyno. The one in the picture leaks 1 to 1.5 psi at high boost. Yes, but i consider that mod a small potato. Well i put 5 gallons of e85 in it today. Gas gauge was a little over E. I added 20-25% fuel to get home. I will probably need to add more after the last of the gas is run out. I am going to run out of injector flow real quick. Hopefully i can run 20 psi. I did not do a tuning pull yet. I really need bigger injectors for that. I was at 92% duty cycle on the dyno with the 850/1400 injectors. Edited by StarquestRescue, 09 October 2010 - 08:23 PM.